The defence minister said had the UPA been more proactive and taken adequate steps after Mumbai 26/11 attacks, terrorism would've been deterred. New Delhi: Defence Minister Nirmala Sitharaman on Thursday said the UPA government did not take adequate steps after the 26/11 Mumbai attacks and that there would have been more deterrence against such terror strikes had it been proactive. Addressing the Delhi BJP workers, she asked them not to be affected by questions raised on the Balakot air strikes and urged them to be on the “offensive” rather than being “defensive” in dealing with the issue. The minister said Prime Minister Narendra Modi has always talked about zero tolerance policy against terrorism. “Whatever had to be done after 26/11 Mumbai attacks was not done by the previous government. Had it been more proactive, there would have been more deterrence,” she said. 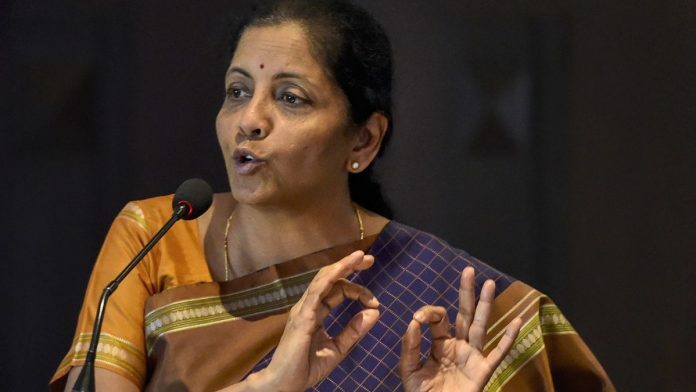 Attacking those questioning the IAF air strikes on terror camps in Balakot, Sitharaman said even during the time of Kargil war, Pakistan did not accept those people who laid down their lives for them and their bodies were buried in India as the neighbouring country did not even claim them. “You should not expect Pakistan to give proof or accept their terrorist centre was attacked by us. I am not citing any numbers, but you should not expect they will accept any numbers. They will never accept,” she said. The BJP leader added even when 26/11 attacker Ajmal Kasab was caught red-handed, Pakistan never accepted that he was their national. On the Pulwama terror attack, she said the government waited for 10-12 days and after getting intelligence inputs that suicide bombers were set to launch attacks again, the air force struck their camps in Pakistan. “…we waited for 10-12 days for Pakistan to take action against terrorists, to get them to vacate their properties, to demolish their buildings, but they did nothing,” she said. “They were not those camps that were close to the border, but those that were deep inside their territory and we attacked them. We had intel-based information and that is why we went. We did not go to wage a war,” Sitharaman asserted. Hitting out at the Congress for attacking the BJP over the release of Jaish-e-Mohammad chief Masood Azhar after the hijack of an Indian Airlines flight in 1999, she said the decision to free him was taken at an all-party meeting. She also questioned the previous governments for not taking any action against Azhar when he was lodged in jail in India from 1994-1999. “You tolerated that terrorist. There was an all-party meeting at the time of Kandahar hijack and it was decided that he would be freed to secure the release of more than 160 passengers who were on board the hijacked flight,” the defence minister said. Congress president Rahul Gandhi has been targeting the BJP and National Security Advisor Ajit Doval over the release of Azhar in 1999. On Tuesday, Gandhi ridiculed Doval by saying that he had “escorted” Azhar to Kandahar in a special aircraft in 1999. It shows her stature. Why she meddled in every issue. Strong response to proxy war or sponsored terrorist attack will make it costlier to do it again and would be good deterrence. Pakistan economy is in dire conditions that is why cried for deescalation after air strike. India should retaliate with double might to stop seaz fire violation too. Let world realize that India means business and will response strongly when attacked by Pakistan based entity. Just verbal strong condemnation of terror attack on innocent civilian or security forces are not good enough. World respects strength not weakness in all areas. The past is because of which the present mess is. If the government acts tough, dynasty lovers change the goalpost. Blatant hypocrisy. Five years into the term, the past provides no alibis.